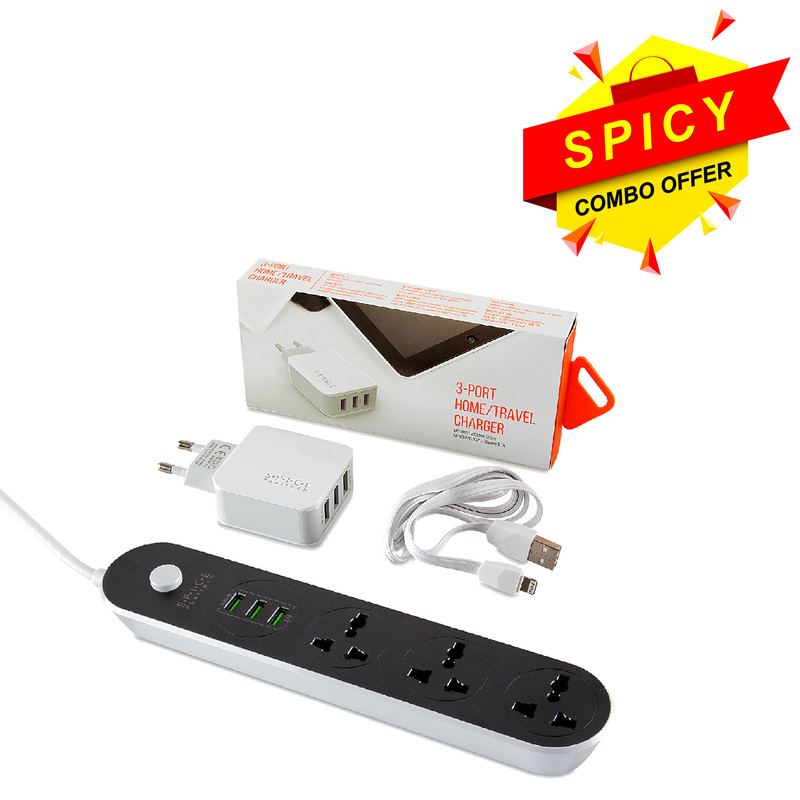 Grab this amazing combo offer by Spice Positech. 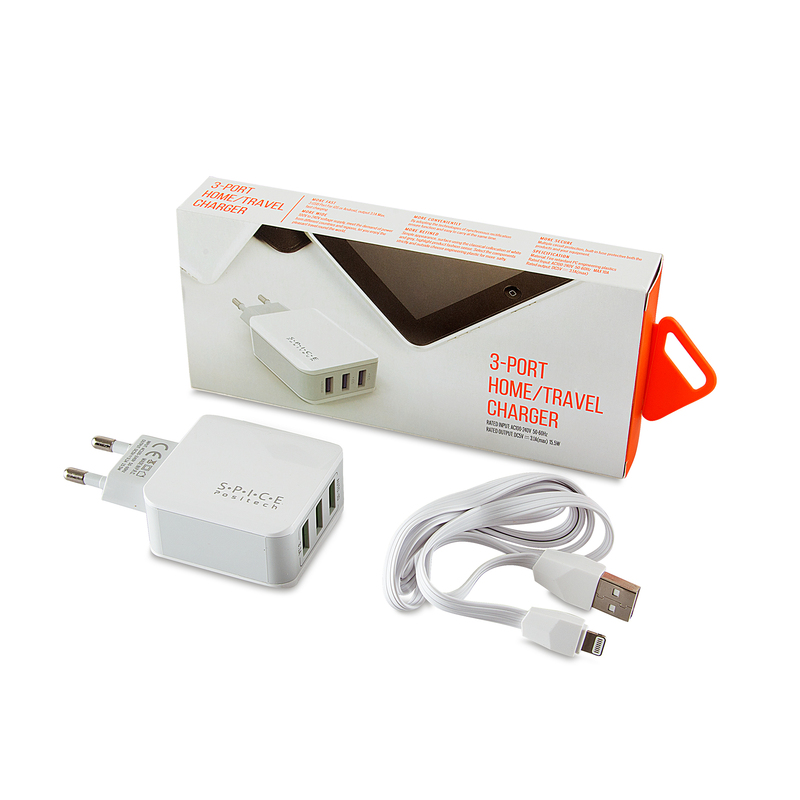 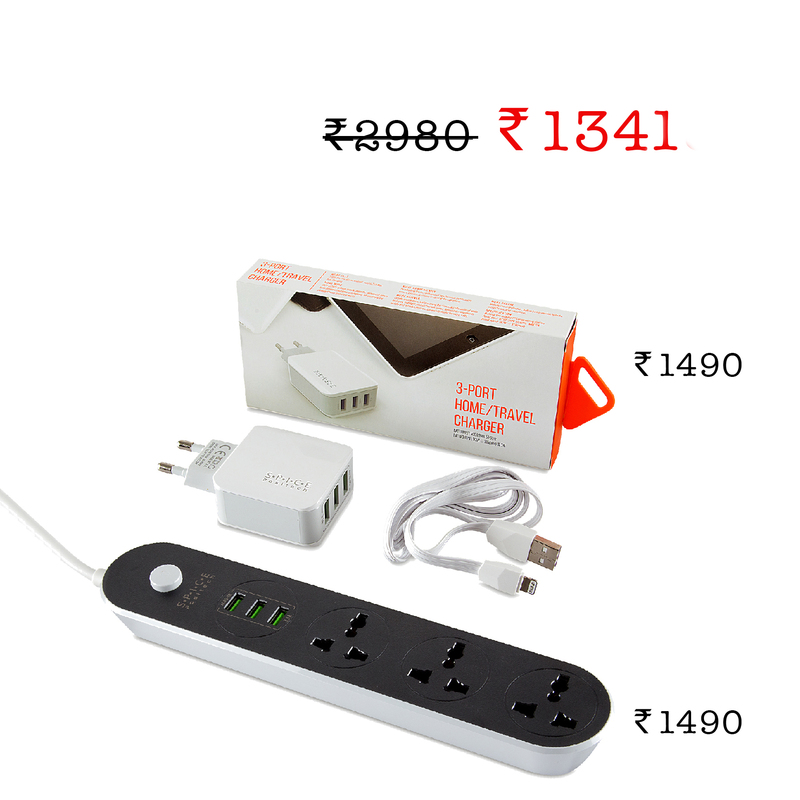 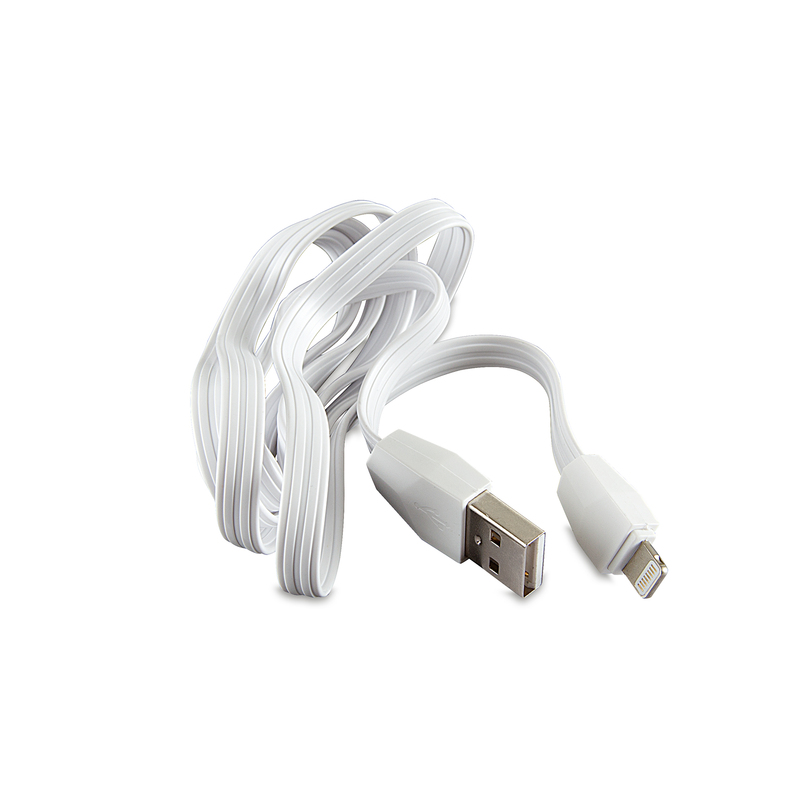 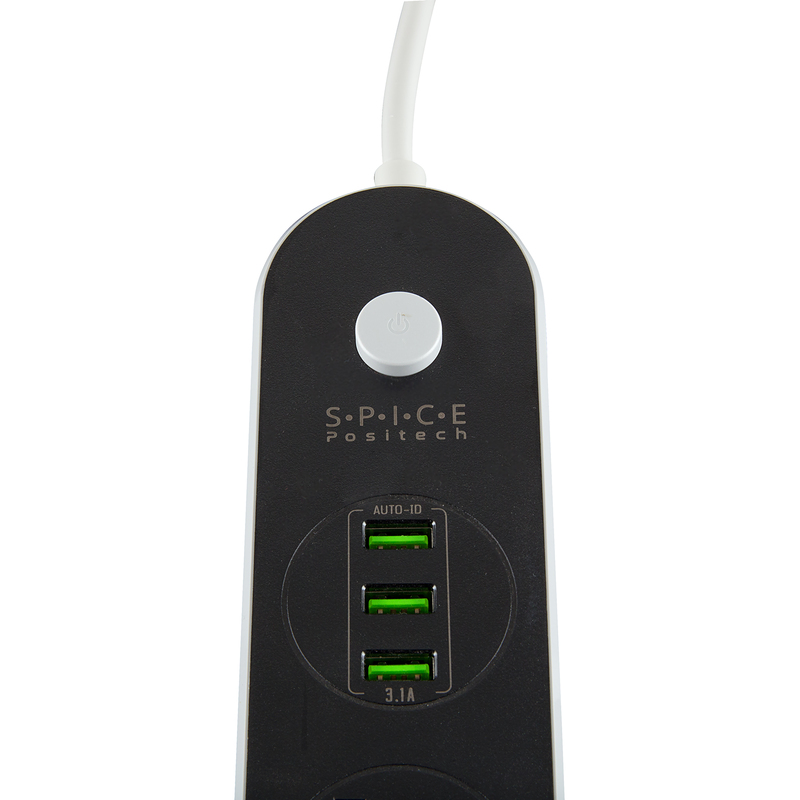 This combo comes with a white 3.1 A 3 USB port home/travel charger for iOS & Android devices and black & grey extension cord with 3 USB anti-static power sockets, all of which are high-flame retardant so you can plug-in your devices without stress. . Stay composed & above it all through the Spice Positech advantage.